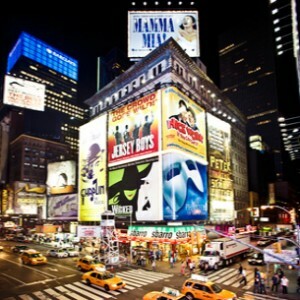 Broadway Advertising | All Tickets Inc. Paid advertising in one of the most expensive ways of spreading the word about a Broadway show. Come meet with a representative from a top NYC advertising agency and learn how to make the most of your marketing dollars, as well as the benefits that paid media can have for a show. Find out about the career path that many Broadway advertisers have taken to get to their powerful positions.